Potatoes, bacon, and cheddar cheese are a delicious combination! 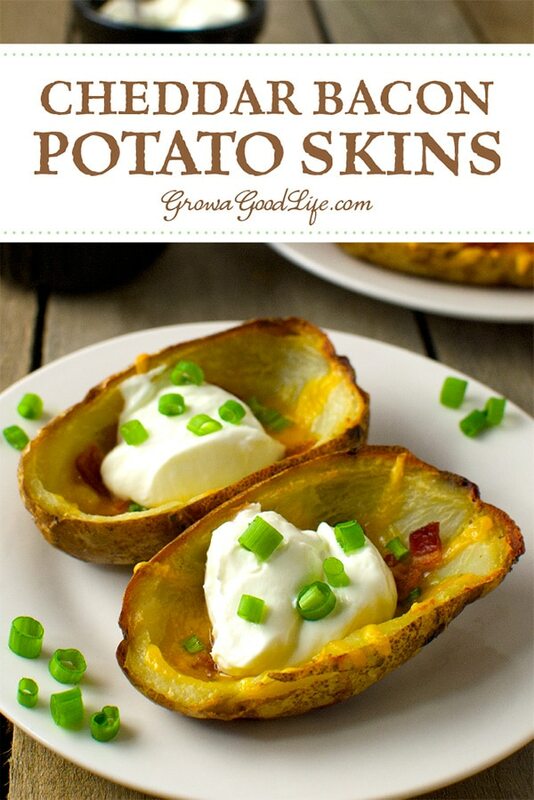 Enjoy these potato skins as an appetizer, snack, or side dish. Potatoes are back! For many of us, potatoes never left. However, thanks to the recent anti-carb craze, potatoes were deemed as “bad for you” and many gave up eating potatoes all together. 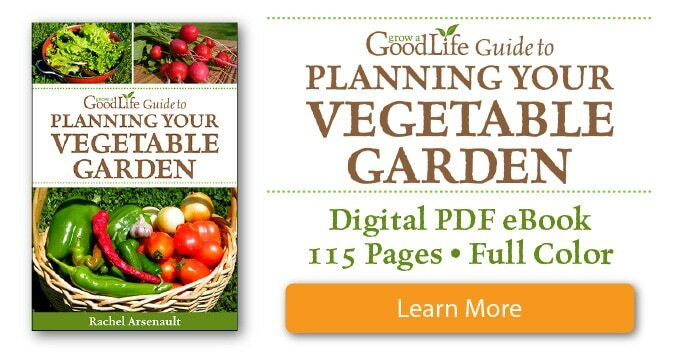 Potatoes are one of the world’s most nutrition dense foods containing almost every nutrient the body needs. They are rich in vitamins B6 and C, potassium, protein, complex carbohydrates, and fiber. Potato skins contain antioxidants and have more fiber, iron, potassium, and vitamin B than the flesh (Source: Berkley Wellness). Potatoes on their own are not as evil as many think. Like many foods, moderation is the key. 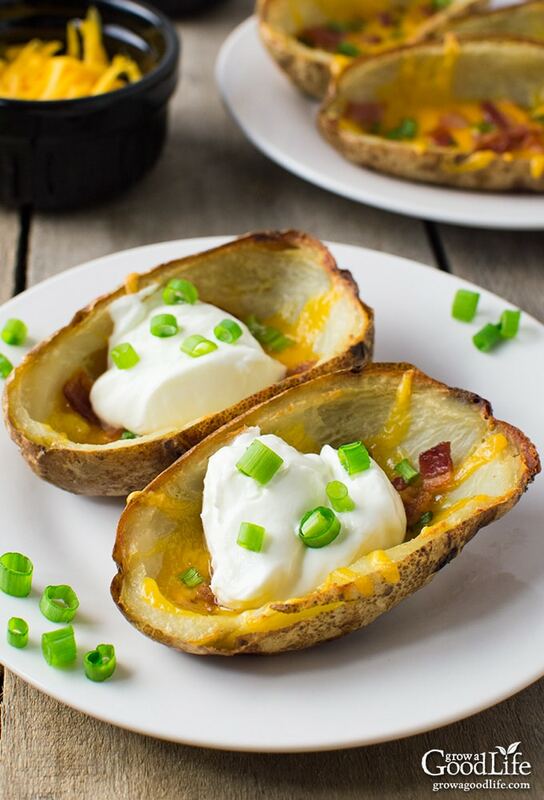 Indulge in this cheddar bacon potato skins recipe once in a while. Your taste buds will thank you. When you grow your own potatoes, you don’t have to be concerned about pesticide residue on the skins. 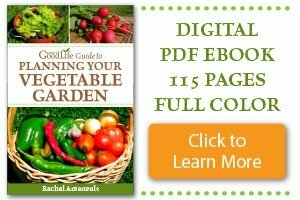 If you don’t grow potatoes, purchase organic potatoes for this recipe. Scrub the potatoes to remove soil and rinse in clean water. Preheat your oven to 425˚F while you prepare your potatoes. Use a fork to prick the potatoes on all sides to allow steam to escape as they cook. Place the potatoes on a large baking pan and into the preheated oven. Bake the potatoes for 50-60 minutes, turning them halfway through. Potatoes are done when they feel soft when pierced by a fork. Remove the potatoes from the oven and set aside to cool. While the potatoes are baking, cook the bacon in a medium-high skillet until crisp. Remove the cooked bacon from the pan and place on a plate. Reserve bacon fat. Once the bacon cools, cut it into small pieces, and set aside. When the potatoes are cool enough to handle, cut them in half and spoon out the potato flesh leaving about 1/4-inch skin. Place the flesh into container and store in the refrigerator to use for another meal. Brush the shells with the reserved bacon fat, both inside and outside, and place the potato shells skin-side down in the baking pan. 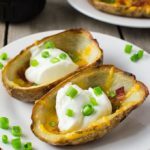 Bake the potato skins in the oven until they are crispy, about 15-20 minutes. Remove the baking pan from the oven and reduce the oven temperature to 350˚F. 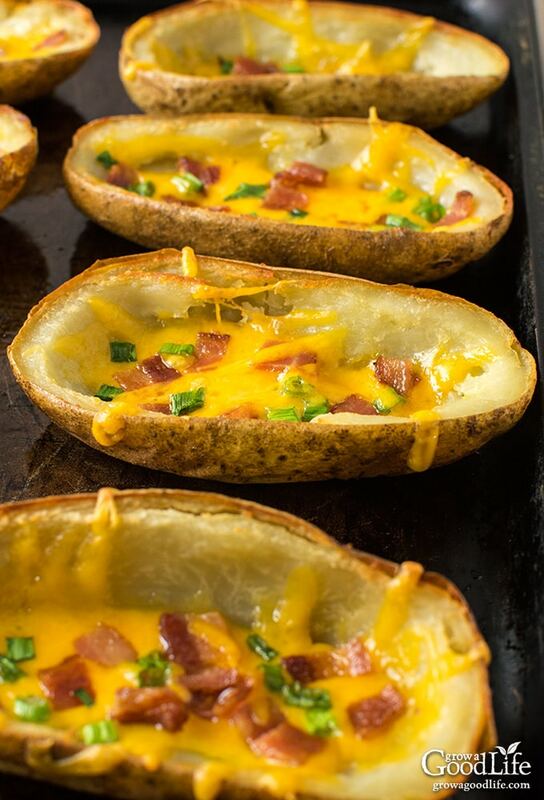 Sprinkle cheddar cheese, bacon, and chives on top of the potato skins and bake until the cheese is melted and bubbly, about 10-12 minutes. Season with salt and pepper to taste and serve warm with sour cream and chives. Serves 8. These take me back to being a kid- i love them! Oh boy. My weakness! Love this recipe! OMG! They look so good! You reminded me that I need to make baked potato skins for this holiday season. Everyone is going to love it!